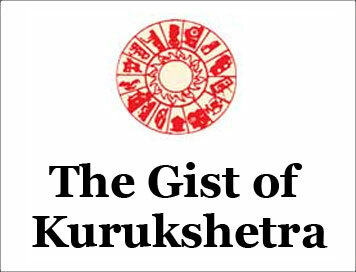 (The Gist of Kurukshetra) EMPLOYMENT GENERATION THROUGH MSMEs [OCTOBER-2018] | IAS EXAM PORTAL - India's Largest Community for UPSC Exam Aspirants. The MSME are credited with generating the highest rates of employment growth and account for a major share of industrial production and exports. As far as India's growth opportunity is concerned, MSME can be the backbone for the existing and future high growth business. The Indian MSME sector provides maximum opportunities for both self-employment and wage-employment outside the agricultural sector and contributes in building an inclusive and sustainable society in innumerable ways through creation of non-farm livelihood at low cost, balanced regional development, gender and social balance, environmentally sustainable development, etc. The MSME sector in India continues to demonstrate remarkable resilience in the face of trialing global and domestic economic circumstances. The sector has sustained an annual growth rate of over 10% for the past few years. With its agility and dynamism, the sector has shown admirable innovativeness and adaptability to survive economic shocks, even of the gravest nature. The small-scale industries sector plays a vital role in the growth of the country. It contributes almost 40% of the gross industrial value added in the Indian economy. It has been estimated that a million Rs. of investment in fixed assets in the small scale sector produces 4.62 million worth of goods or services with an approximate value addition of ten percentage points. When the performance of this sector is viewed against the growth in the manufacturing and the industry sector as a whole, it instills confidence in the resilience of the small-scale sector. SSI Sector in India creates largest employment opportunities for the Indian populace, next only to Agriculture. It has been estimated that 100,000 rupees of investment in fixed assets in the small scale sector generates employment for four persons. The significance of MSMEs is attributable to their caliber for employment generation, low capital and technology requirement. According to the estimates of the Ministry of MSME, Government of India, the sector generates around 100 million jobs through over 46 million units situated throughout the geographical expanse of the country. As per the Report of the Working Group on Micro, Small and Medium Enterprises (MSMEs) Growth for 12th Five Year Plan (2012- 2017), the sector accounts for 45% of the manufacturing output and 40 % of total exports of the country. The labour to capital ratio in MSMEs and the overall growth in the sector is much higher than that in the large industries. The geographic distribution of the MSMEs is also more even. Thus, MSMEs are important for meeting the national objectives of growth with equity and inclusion. They are also important for promotion of industrial development in rural areas, use of traditional or inherited skill, use of local resources, mobilization of resources and exportability of products. Besides the wide range of services provided by the sector, the sector is engaged in the manufacturing of over 6,000 products ranging from traditional to hi-tech items.